What is it exactly that the Christ child is doing in this painting (ca. 1435) by Rogier van der Weyden? I don't think he's reading, and there are some who seem in anti-reading--tearing out pages of the book, which is supposed to be the Old Testament, an allegory for pointing the way to the newness of the Bible in the New Testament. To me he looks like just any other baby handling a book--not tearing, but just figuring out how the book functions, how to make it work, with fat-fisted baby hands. Perhaps the baby was looking into the past and the OT and not seeing the future in it in the NT. But even in an era of high symbolism and metaphor, perhaps this is just a baby playing with a book. I found a wonderful book review of Venn's book Symbolic Logic that appeared the following year, appearing in the journal Nature on 14 July 1881, and reviewed by the inimitable W. Stanley Jevons (which is reproduced below). I forgot to create a quick post to commemorate the passing of the beginning of the American Civil War, which began with an attack on Ft. Sumter, on Christmas Eve 1867. This Civil War would only take one year to resolve, and this "time" in the favor of the Southern states. This war was fought in the pages of a work of hopeful propaganda, the creation of Edmund Ruffin (1794-1865), a fire-eating State's rights/pro-Slavery Yankee-hater, Anticipation of the Future. The book was published in 1860, just before the start of the true war, and was basically an apology for the political and social positions of the South in general, a way of asserting Southern rights in what he felt would be the war to come. Ruffin thought that war would take a little longer to brew than the one he created in his book, and he had the South triumph in his version, in spite of the obvious shortcomings in manufacturing and trade and manpower and production. Ruffin. I don't know really what to make of him, though his importance seems austere at best. There are stories that circulate that establish him as the man who fired the first shot at Sumter in the beginning of the real Civil War. He certainly fired the first shot in his own version of 1860, in his imagination, and fancy. the way I think of him, though, is not the man who did or didn't fire at Sumter and get powder in his hair in 1861, but by is earlier work in agronomy, and particularly in his interest and work on bogs. That's it. Bogs. Or of course manure, as in his work of 1852, An essay on calcareous manures. The book (the full title being Anticipations of the Future, to Serve as Lessons for the Present Time: In the Form of Extracts of Letters from an English Resident in the United States, to the London Times (sic), from 1864 to 1870) is available at the Internet Archive, here. baleful connection, and then very feeble political position. The series, "The Book-Lover's Library", edited by Henry Wheatley, included this work by the editor: Literary Blunders, a Chapter in the History of Human Error, which was published by Elliot Stock in London in 1893. Its chapter headings are inviting: "Blunders in General", "Blunders of authors", "Blunders of Translators", "Bibliographical Blunders", "Lists of Errata", "Misprints", "Foreigners' English", and what turns out to be of the highest interest, to me: "Schoolboys' Blunders". Now admittedly some of the humor in recounting errors comes down a very long nose, and with a dryness exceeding the terms to describe "dry"--but the chapter on the blunders of children comes to us with a good nature, and is genuinely entertaining, and delightful. It reminds me at once of Maurice Sendak (with Ruth Krauss in A Hole is to Dig) and Ambrose Bierce (Devil's Dictionary), and even a little bit of lemon-flavored Menckenosia (The American Language), though the author assures us that the examples he charitably shares are true, and in spite of some of their high and unintentional wit are all the work of children. This would make make the selection a sort of Borgesian/Biercian Sendakian insight of child's-play and blunder, a beautiful mix of occasional deep insight and naive assertion of quick-thought. The Earliest Images of a Giant Attacking NYC? The revolutionary comic strip generator Winsor McCay had a great 12 months in 1904/1905. McCay may have been the Einstein of his field, and his work I think may still be the standard bearer for high excellence and creativity. It was in 1904 that he began his Dreams of a Rarebit Fiend, which seems to have also launched the main character for the creation of his crowning masterpiece of the medium, Little Nemo in Slumberland, which would premier in 1905. (McCay's work was appearing in two different newspapers in New York in 19041, forcing him to contractually sign his work for Rarebit as "Silas"). Nothing had really quite been seen like that before, two newspaper strips that were filled with vision and elegance and weirdness and the bizarre, beautiful stories illustrated on one sheet of paper, of great imagination and a wide stretch of subversiveness. They so captivated the readers of the time that McCay went off on illustrative lecture circuits, found movie (in their relative infancy) versions of his work, and performed in vaudeville venues along with Charlie Chaplin and W.C. Fields. What is different in Rarebit from McCay's other work seems to be its new material from strip to strip--there's no recurring characters--unlike Nemo, which has storylines that continue for periods of weeks--and there is a great reliance on message than in the usually-beautiful artwork that is found in Little Nemo. Rarebit tells a social story, and is capable of satirizing political and other issues; this is almost never the case in Little Nemo. Its unclear to me why a person should have nightmares from the seasoned cheese slathered toast that it is rarebit--it seems fairly innocuous, unless of course it is weirdly seasoned or the cheese is bad. But this is Cartoonlandia, which means anything is possible. 1. The strip ran from September 1904 to 1911; it appeared in different papers and under different title for a few years from 1911-1913, and then once again revived under a different name in bits and spurts from 1923 to 1925. This remarkable map, a bird's-eye perspective view of New York City, was created by Will L. Taylor ("chief draftsman"), and published by Galt & Hoy of New York in 1879. There is a great attempt at representing (all?) buildings in accurate detail, though the Library of Congress notes that the map is not necessarily drawn to scale. The very issue of what seems to be an attempt to show the footprints and perhaps even the elevations of all structures in the city is incredible. I know from experience with a 1910 bird's-eye view of my own small city (Asheville, with a population of about 18,000 in that year) that our houses was drawn in and was shockingly accurate--I imagine with a large enough team of draftspeople that this project might well be possible for NYC. The full map, below, clicakable and downloadable as a 2.5 meg file--its a very lovely thing. In my adventures in collecting antique art made by children, antique children making antique art, I found the following three letters. I'm hoping that by posting these lost letters to Santa that the dreams and sentiments they contain will somehow be at least read by Santa, and then perhaps even addressed in some way to another girl or boy, even if the requests come 120 years after they were made. "Thank you dear/ Santa Claus"
and addressed to "Mr. Santa Claws" at Chimny, R.I.". It may be that the child sent the letter to his own chimney for Santa to pick up on Christmas Eve. I want a sweter for my big baby doll. The sleeves are to be eight in. long. The back is to be 8 in, and a half. My Mother wants a table crumber. A silver crumber. I want a nurses dress and a cap. Dear Santa. I have out grown my golashers that is a nother thing I would I would like. Given that today is the winter solstice I thought to have a look at some artwork or imagery depicting the sun. I went to bookcase where there were some astronomy books and plucked out one at random--it turned out to be Denison Olmsted's (1791-1859) Practical Astronomy textbook sort of written for his 12 students at Yale in 1839 (and bound with Ebenezer Porter Mason's Introduction to Practical Astronomy, which was a supplement published ten years later). Its a fine not-big/not-little book (320 pages plus Mason's 135 pages), and it still reads pretty well. (There's also a very sweet 16-page outline of the course he taught, breaking the lectures down into fairly small chunks. There's an interesting part of lecture XII entitled "DANGERS" which addresses heat and cold and bad business that could come from "perturbations of the moon and planets" and comets, of course, particularly the one like the "threatening circumstances attending the great comet of 1843". As it happens the only annotation made by the 19th century owner of this book was right here, in the danger section, where they wrote the word again followed by five check/whatever marks. There would of course be images of the sun in the book, and so was found this lovely small woodcut within the astronomical image (above), measuring in real life at about 5mm. There are a lot of lines on the circumference of this tiny circle. The "S" stands for Sun. Shrove Tuesday, or Fat Tuesday, or Mardi Gras was a celebration of absolution going back to Roman times, of confessing and cleansing the soul of sins--and also famous for being the day before Lent and the sacrifices as practioners of faiths lean-in towards the Easter holiday. In some Presbyterian places it was a season good time, an issuing of Merry Shroventide. 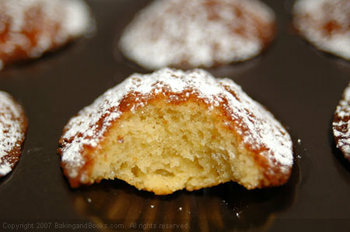 The pancake is one of the oldest human cereal foods, stretching back to prehistoric times. The food appears in Greek poetry about 2500 years ago, and makes its first appearance in English in about 1440. It is an old food, and cultures around the world have varied approaches to its construction and components, many of which have the pull of hundreds of years worth of history. There have been pancake races and pancake displays and pancake throwing that reach back into the 15th century. I must say though that in these many years of print collecting that I cannot recall seeing a very old print of flying pancakes. Which is why I've included the scan (above) of the image above, which is a relatively old wood engraving found in R. Chambers The Book of Days, a Miscellany of Popular Antiquities in Connection with the Calendar...and printed in London in 1863. Its cheery and judgmental crowd observing the cook's effort to throw a pancake as high in the air as possible and then catch the thing again in the pan. Pancakes on dubious display, all waiting to be eaten before start of the fasting season before Easter. And just for good measure, we'll toss in this beautiful work by Pieter Bruegel the Elder, The Fight between Carnival and Lent, which was painted in 1559 and shows the opposing forces on the edge of the Lenten/non-Lenten world, each side abounding with its demands for attention. In particular though is the food on the little trolley of the woman leading the Lenten contingent, where we definitely see bagels, and probably see pancakes. And I know a little about him; but when I looked closely at this wood engraving of the man hard at work something struck me as very unusual to my Santa experience. The image is from 31 December 1871--coming after Christmas for some reason--and it is one of the very earliest depictions of the most universally recognized form of Santa. It was created (his image that is, of course) by the incredibly prolific and almost-entirely socially responsible (except for Catholics and the Irish) Thomas Nast. Nast created this standard, iconic image of Santa--plus the Republican elephant, the Democratic donkey, the Tammany Tiger, and many more iconic public images. 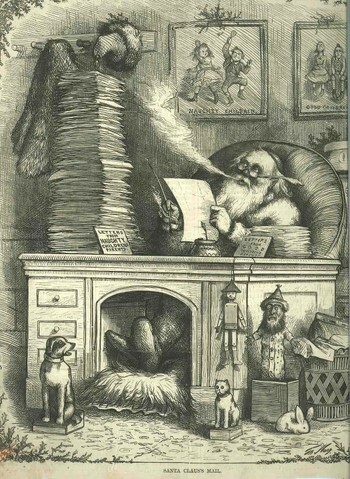 In fairly famous and often used images I had never noticed that the letters that Santa is reading are being taken from the piles on his desk--but the letters are not written by children, but rather were sent by the parents. This might make more make more sense if the cartoon wasn't published five days after Christmas but appeared before the holiday. Perhaps it is perfectly placed--tis would've been the first issue of the weekly magazine after the holiday, so reminding children to be good after a Christmas in which they might not have received what they wanted may have been caused by their behavior. And since part of Nast's social power came from depicting events that were of interest to the working class and the poor and making them intelligible to the illiterate, where the cartoon/caricature could speak without words and make themselves understood, it might've been the case where parents would show the image of Santa to the kids and then tell them about the letter part to try and codify a different behavior in the new-coming-Christmas season. I found this map via Alex Wellerstein--a very odd, very visual map of radiological effects of a massive nuclear weapons exchange, which basically leaves little in the way of hope for survivability. It was published in Brookhaven National Laboratory's Ecological Effects of Nuclear War (edited by G. M. Woodwell) as part of symposium sponsored in part by the Ecological Society of America and the American Institute of Biological Sciences in 1963. Wellerstein (an historian at the Center for the History of Physics at the American Institute of Physics) correctly points out the problems with the model--among which are the 100% ground detonation and 100% achievability in yield--but there was something else that bothered me. Well, two things: first. the swath of death obliterated state lines, so you could sort of tell who was affected (although it seems as though my own mountain city of Asheville, NC is in a very slim thread of beige spiking into the death blotch), not that these distinctions would matter very much in the light of nuclear holocaust. The second part didn't occur to me until later. The missing state lines wouldn't matter because there would be basically nothing left, or a something that approached nothing. As Sven Lindqvist points out in his book A History of Bombing (The New Press, 2001), a study conducted at the Max Planck Institute in 1982 showed that an exchange of 5,000 megatons was enough to throw hundreds of millions of tons of soot from burning forests into the atmosphere and create a cloud barrier that would last for six months and cause the temperature on Earth to drop 100 degrees. At the end of that time, after the sun poked its way through again, the damage to the ozone would be such that virtually anything that survived would be killed by UV radiation. Plus all of that nuclear exchange radiation. at the time--in 1982--the worldwide stockpile of nuclear weapons was acknowledged to be about 13,000 megatons. It is estimated that 13,000 megatons had the damage capacity of 1,000,000 Hiroshimas, due not to increase weight but also to more efficient weight usage. That's one Hiroshima for every 6,000 people. Can We See More or Less than We Used To Be Able To See? 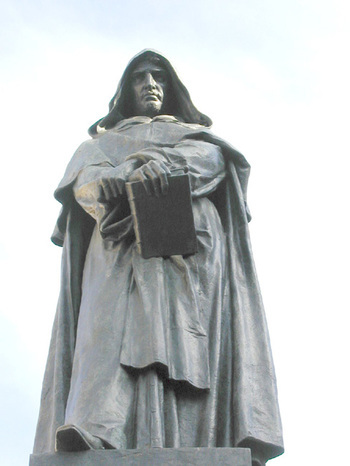 It is interesting that many of the crimes of science punished by the Catholic Church during this period (1450-1650) were as much crimes against memory than they were crimes against the future—changing and challenging collective memory often proved fatal. Getting back to Jevons—who was a very smart guy and who applied himself to a number of fields, not the least of which was constructing a logic machine: his experiment proved to be a springboard for a host of others, some of which didn’t do Jevons justice, misreporting his finding, misrepresenting the stuffy, and so forth. Perhaps the greatest of these was the greatest of the efforts based on his—Raymond Cattell —who for some reason stated in his very influential textbook of 1907 that humans can remember around 7 things (without counting) when the objects are flashed before their eyes. And for a hundred years this figure stuck, even though the Jevons report issued a more complex summation, and saying, anyway, that the number was around 10. And what bothered me a bit with the Jevons experiment is what people remembered when shown the objects (beans)—would his results have varied if subjects were asked how many were shiny or odd-colored or deformed or whatever rather than just a simple number, the results could’ve been more interesting. (I don’t doubt that these issues have been taken up in the 20th century but haven’t looked). Sometimes people are just looking in the wrong places—for example operant psychology labs tested rats via visual stimuli until it was discovered that rats were olfactory geniuses and that humans were using them wrong all along. It would be interesting to know what the history is of human capacity for image formation. Considering the growth of distractions and the enormous amount of true and trash stimuli—visual bombardment from television, outdoor advertisements, the sheer amount of growth of human construction and interaction—have humans enhanced this spatial/memory information processing capacity? Consider the growth of (just) eye movements over the last few hundred years, with the visual sense being subjected (for all classes of people) to enormously and fractally-expanded print sources, television, digital communication and so on—has this expanded this neural capacity? Has "space invaders" aided bean counting? I don’t know, though I do wonder (literally) what the effect exponentially-growing mass input of (mostly junk) data might be doing to our noggins. Maybe the effects lean more towards dissolving privacy and reflective time—when does a person think if interruptive stuff is coming into your head at all points of the day, with the brain trying to interpret incomplete and ambiguous strings of sensory inputs? Seems scary to me. Maybe memory is affected, maybe it makes it go away, shriveled because recollection is being eliminated. 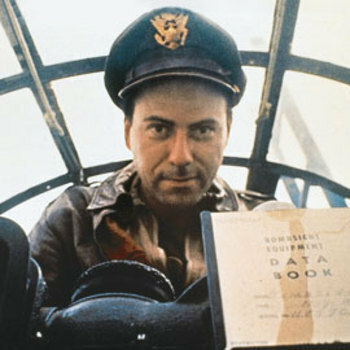 Or demented like the wonderful Yossarian (his first name is John, btw) from Joe Heller’s beautiful Catch-22 who develops for himself a condition in which he remembers everything twice (whatever that means). It would be interesting to see a war of societies in which the sides were a culture that remember nothing versus a culture that remembered everything. 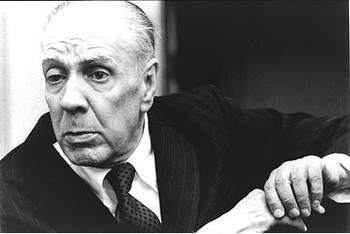 The unspeakably lovely Jorge Borges wrote something touching on this in "Fumes the Memorist," in which the humble narrator is capable of forgetting nothing, being able to recall explicitly everything within eyesight, perfectly—the problem is though that it takes a day to remember the events of another day. What would happen in such a culture where everyone forgot nothing? And I’ve just been dealing here with visual memory, really—and as Proust makes plainly clear (and Borges and other prove), vision isn’t everything. This is a simple posting of some images found at the Manchester Microscopical Society website--beautiful 19th century preparations in which the circular specimen or stain happened to appeal to a sense of design, and which also fits snuggle into my long series on The History of Holes . There's a ew digital player at the Wellcome Library, the home of a renowned collection in the history of medicine, though it covers more than that, being "one of the world's richest and most unique collections, with themes ranging from medical and social history to contemporary healthcare and biomedical science" (from their site).